ICMEA is the abbreviation of the International Ceramic Magazine editors Association. a business meeting and to form the Association was motioned and unanimously passed. The 2004 Symposium was therefore treated as the 1st ICMEA Conference. The Fuping Declaration is attached below. 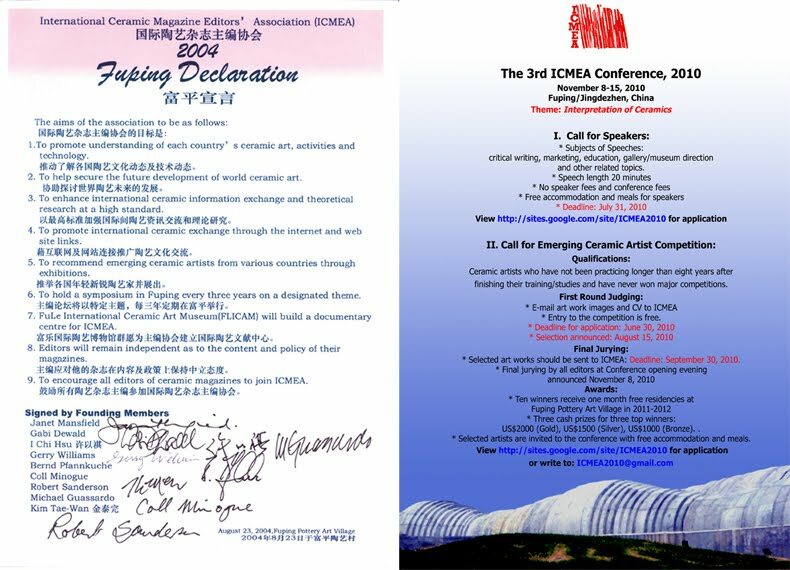 the Proceedings and Catalog of the “2004 ICMEA Conference”. block formed by ICMEA letters.